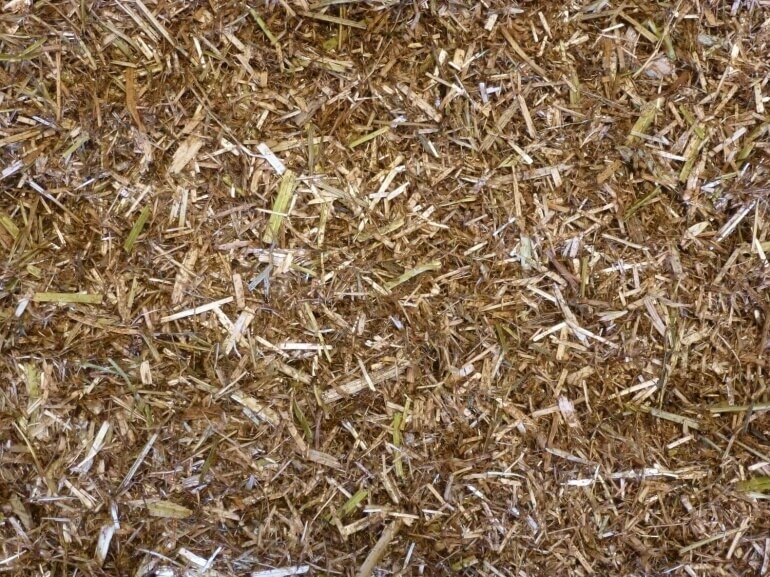 Mollichaff Veteran is a high fibre forage mix designed to complement the forage ration where necessary. Veteran contains a balanced blend of dried grass, dried alfalfa and oat straw and is topped with a dressing combining linseed and soil oil with a very light dressing of molasses, plus added vitamins and minerals, plant-based antioxidants, mint, nettle, salt and added biotin. The high palatability of Veteran makes it ideal for horses and ponies that are unable to consume long forage and require a partial forage replacer. This also makes it extremely appealing to even the fussiest of feeders that require an additional forage source. Veteran is also suitable for youngstock. Mollichaff Veteran contains linseed oil which is a rich source of essential fatty acids including Omega 3. Antioxidants from a plant-based source are included to help combat free radicals. Nettles are naturally high in vitamins and minerals and mint is commonly used as a digestive aid in horses and they find the aroma and taste of mint to be particularly appealing. Mollichaff Veteran contains added limestone to provide additional calcium for strong bones. Salt provides two important electrolytes – sodium and chloride. Also contains added biotin for healthy hooves. 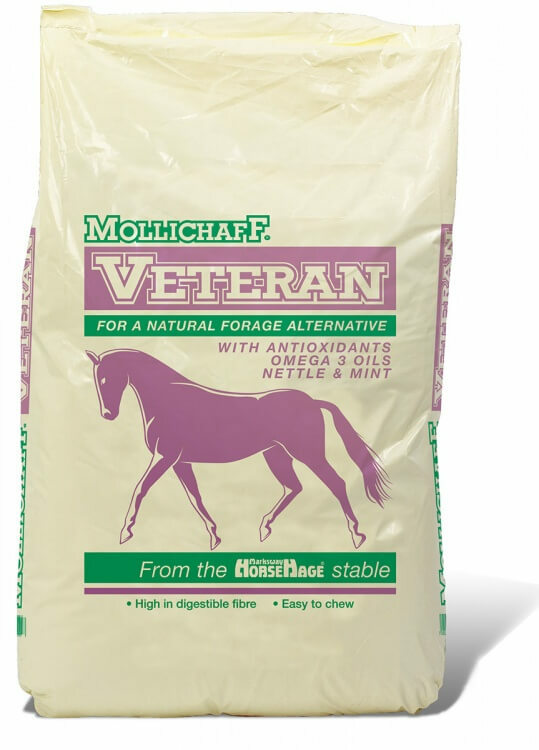 Mollichaff Veteran contains only natural ingredients and is available in 12.5kg bags.